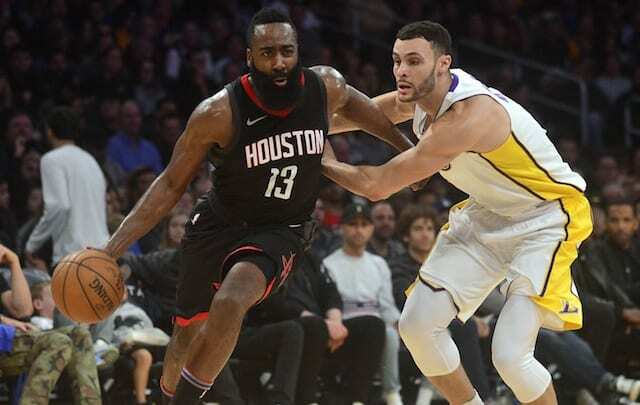 The Los Angeles Lakers had spurts of good effort and energy but it wasn’t enough against the Western-Conference leading Houston Rockets in the second of a back-to-back. The 118-95 loss was the Lakers’ fifth in a row. Houston overcame a slow shooting start to extend their winning streak to seven games and win the 13th of their last 14th. Although their winning streak has coincided with Chris Paul’s, return it was Eric Gordon and James Harden who lit up the Lakers early and often on Sunday night. Gordon scored at will upon checking in the first quarter, pouring in 18 points on 7-of-10 shooting before checking back out. Gordon scored the Rockets’ first seven points of the second quarter, which led to them pulling away by double-digits at halftime. For the few minutes Gordon spent on the bench in the second quarter, MVP candidate James Harden exploited switches and defensive lapses. Harden scored 16 points in the second quarter, en route to finishing with 36 overall, and nine assists, both of which were game-highs. It was Harden’s third time scoring at least 30 points in the last four games. Gordon cooled off some in the second half and totaled 22 points on the night. Chris Paul had 21 points and six assists in his first game in Los Angeles since being traded. After back-to-back games with at least 20 points, a career first, Brandon Ingram had his streak snapped as he finished with 18 points against the Rockets. Kentavious Caldwell-Pope got into a rhythm during the third quarter and finished with 16 points on 5-of-12 shooting. Not renowned for his offensive game, Larry Nance Jr. had 15 points, while adding eight rebounds, two steals and one blocked shot. 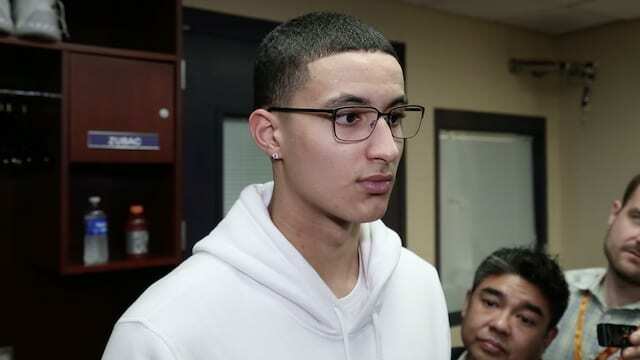 Kyle Kuzma chipped in with team-highs 22 points and 12 rebounds, good for his seventh double-double this season. The Lakers trailed by as many as 18 points and cut to three in the third quarter, but never got any closer. While it was a forgone conclusion the Rockets would hold a decided edge in 3-point shooting, they also did with points the paint. 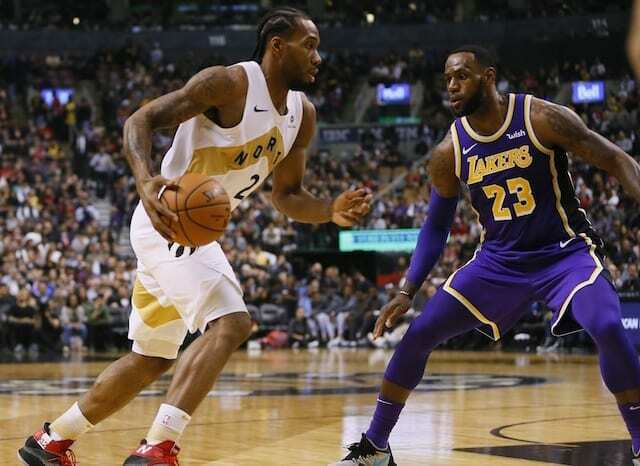 The Lakers at one point led in that category, 10-2, but the Rockets took control to finish with 54 points in the paint, compared to the Lakers’ 42.